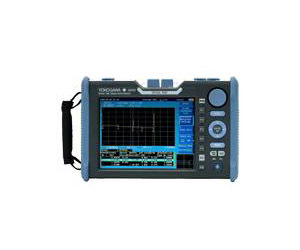 The AQ7270 OTDR is a test device used when installing and maintaining optic fiber networks in metro (inter-city services), access and FTTH (intra-city networks). The AQ7270 OTDR condenses the total working time during on-site tests as the time to power up the device, the time taken to make measurements, and the time to analyze and store the measurement results are reduced significantly. The measurement results can easily be transmitted to computers using the USB interface or the Ethernet and the analysis software (optional) helps with preparation of reports on a computer. The AQ7270 can realize short event dead zones under 0.8 m for all single mode optical fibers, which is a world class feat. Furthermore, longer distances can be measured with 40dB high dynamic range performance. Thus the AQ7270 is able to make short and long distance measurements.